One of the characters that shows up transparent in a cutscene doesn't seem to render, a ghost that shows up behind the blonde woman. The glow around his eyes, however, does show up. These are the current settings I'm using. Thanks in advance even if only for acknowledgement. Not a normal to this community in the least. Try using DirectX11 for starters. Does it show properly if you press F9? (07-11-2016, 12:34 PM)Bositman Wrote: Try using DirectX11 for starters. Does it show properly if you press F9? DirectX11 doesn't fix it, but pressing f9 with DirectX9 on does. So my choice is bad framerate and low resolution, or cutscene issues like this? (07-11-2016, 08:32 PM)FlatOut Wrote: Which version of PCSX2 are you using? 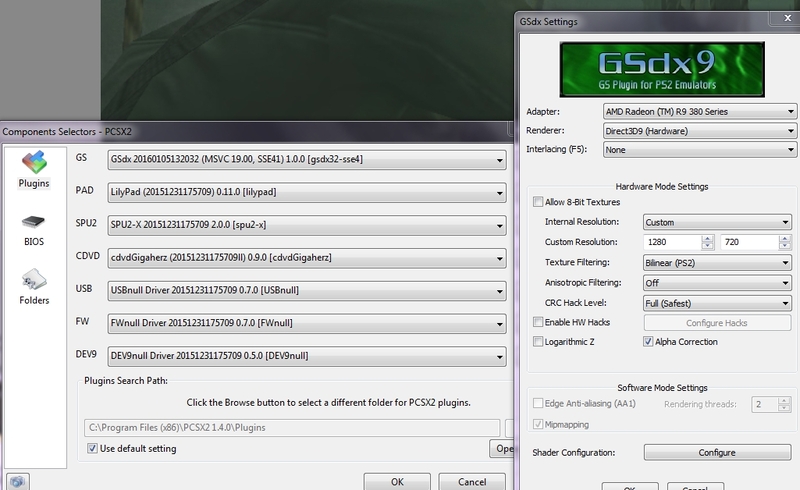 Try using OpenGL hardware renderer and turn Hardware Depth on. And set the internal resolution to one of the (..x) native resolutions. (07-11-2016, 08:56 PM)FlatOut Wrote: Try using OpenGL hardware renderer and turn Hardware Depth on. And set the internal resolution to one of the (..x) native resolutions. This looks good but it doesn't solve the issue.